Do you ever have those days or weeks, or seasons for that matter, where it seems like the punches just keep coming? When it rains it pours. You keep trying to tap out but things keep coming up, and you feel like the earth has just given way beneath your feet. Well, at least we can say we are not alone in that feeling. I am sure we all go through those times, but praise God for the promise of what He is going to do in those times. 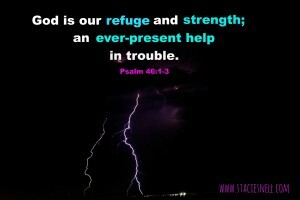 He is our refuge and strength; an ever-present help in times of trouble. These last few weeks have been those whirl-wind sorts of weeks for me. Last week was our first week back to our routine after Christmas break, so that alone is enough to make a mama crazy, right? But then things just kept coming up on top of an already hectic schedule. 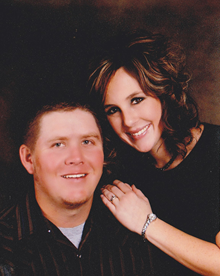 One morning, I opened up my Bible desperate for God to relieve some of the stress I had been carrying. 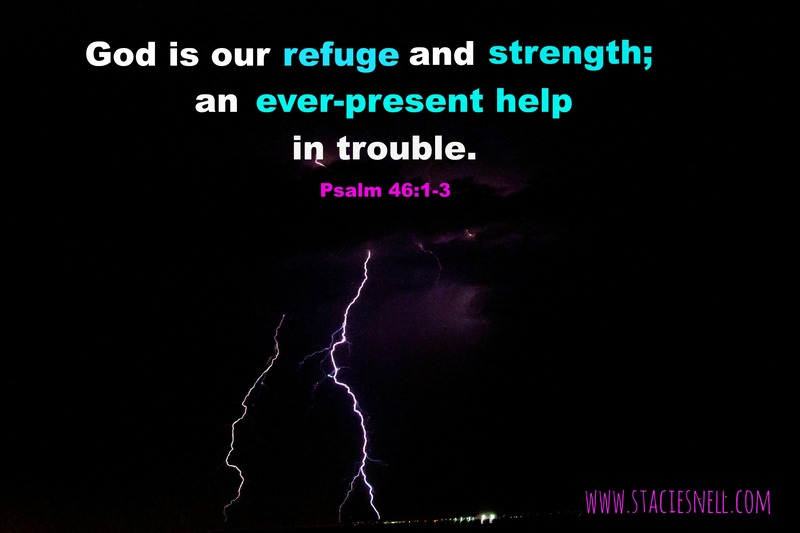 Just the first three verses of Psalm 46 were enough to make me feel lighter as I breathed in the truth that He alone is my refuge and my strength, there to help when things get tough. My heart began to inflate with peace like a helium balloon, and more weight was lifted from my over-burdened shoulders. God is within me…I am not going to fall. He will help me at break of day. Day break was the time of day that attacks against cities were most commonly made, but God was not and is not surprised by those attacks. He will help us when the attacks come. And all those weapons being formed against me…broken, shattered, and burned. My God is Strong and Mighty. I just pictured the powerful hands of God Almighty taking every one of those weapons and snapping them in half like they were nothing. Can you see it too? Father God, we come to you, tired, weary, and broken. We are carrying weights that are too heavy for us; fighting battles that are way beyond our ability. Still our hearts, Father, and lead us to new places of trust as we come to you as our refuge and strength; our ever-present help. Help us to turn our backs on fear, even though the world seems to be crashing down around us, because you are with us and for us, so who can be against us? You take those weapons the enemy is trying to use against us, and snap them right in half. Thank you, Lord Almighty, for being our strong fortress. May you be glorified and exalted to the ends of the earth. Amen.